The Centre for Legal Research and Development (CLERD) is a not-for-profit and non-governmental organization established to promote the advancement of basic human rights, good governance, and inclusive development in Africa and around the world. CLERD work cooperatively, both locally and internationally, through integrated advocacy, education and capacity building, and research. CLERD has two broad thematic focuses, that is: human rights and access to justice; and good governance. CLERD is currently recruiting for her projects. We are looking for a qualified candidate for the position of Project officer, Governance. The Project officer will play a leading role in CLERD’s efforts to create space for marginalized groups to participate in public affairs and promote transparent and accountable public resource management. 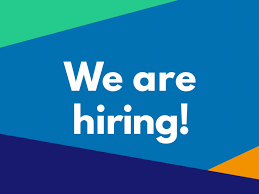 To provide administrative and technical skills to support CLERD’s governance projects to success and report regularly to Senior Programme Officer, Governance and/or Project Director. The post holder will also be expected to contribute to the implementation of CLERD’s wider engagement with policy makers and other stakeholders. Organize and attend project meetings. These include project review and planning meetings. Maintain documents. The post holder will be responsible for maintaining crucial project documents which track project progress. S/he files all project documents in an appropriate database or library, and ensures that all documents are accurate and have been accepted by the Project lead. Identify problems or risks. The post holder shall be responsible for identifying any potential issues or risks that could affect the progression of project(s). S/he will communicate these items with the Project Lead, and work to identify potential solutions. Manage project schedule(s). The post holder will closely watch project schedule(s), monitoring deadlines for each project task. S/he checks regularly that every deadline is still possible, and reports any potential delays to the Project Lead. Develop a good knowledge of state and national government structures, key public decision-making structures, and how to influence them. Undertake periodic reviews and analysis of government policy documents and generate data, including baselines, for engagement with policy makers and wider stakeholders. Contribute to formulation of key advocacy messages and targets from lessons learned, assessments, research and evidence gained from interventions. Organize, implement or support trainings/dialogues on varied governance issues to promote good governance. Support systems for research, analysis and documentation that underpin evidence-based advocacy and influencing at national and state levels. Develop and maintain a network of external contacts with key individuals in the government, civil society and the media. Represent CLERD at various forums and advocacy opportunities as directed. Perform other tasks, as required and directed by the line manager/Project Director. Minimum of bachelor’s degree (B.Sc.) in Economics, Political Science, or any Social Science related field. Minimum of 3 years post-graduation work experience. Analytical thinker with excellent problem-solving skills. Ability to multi-task in a high volume, fast pace work environment. Ability to work effectively as a team member and independently, with a high level of self-motivation and ability to set and meet goals. Ability to manage multiple priorities under pressure. Trouble-shoot and to meet short and long term deadlines. Demonstrated experience in budget and financial management. Knowledge of transparency and accountability issues in governance. Experience of drafting and presenting policy issues to a variety of audiences in a concise manner. Experience in advocacy techniques and influencing tactics. Ability to build and maintain relationships with partner agencies and key contacts in the government, NGO, civil society and media sectors. Ability to work independently and manage project with limited supervision. Applications without appropriate subject line will be disqualified. Applications received after the closing date, 5.00pm on Monday 24th September 2018, will not be considered. Applications will be treated as they are received and only shortlist candidates will be contacted.